Dr. Barry Corso and his family have been in Boca Raton since 1975. He graduated valedictorian from Boca Raton Academy in 1982. He earned his Bachelor of Science degree in Microbiology from the University of Florida in 1986 and his Doctor of Medical Dentistry (DMD) degree from the University of Florida College of Dentistry in 1991. Upon graduating he returned to his hometown of Boca Raton where he has maintained his private dental practice with his wife, Dr. Helene Corso. Dr. Corso's emphasis is on caring, gentle, comprehensive dentistry in a comfortable, clean environment. Dr. Corso continues to expand his dental education and stays current with the latest advancements in his field. Dr. Corso continues every year to challenge himself with advanced training at the prestigious Pankey Institute in Key Biscayne, Miami and Spear Education in Scottsdale, Arizona. Dr. Corso completed the Advanced Implant Residency Program at Alabama Implant Education in Bessemer, Alabama. In addition, Dr. Corso is a member of the ADA, the American Academy of Cosmetic Dentistry, the FDA and the South Palm Beach County Dental Association. 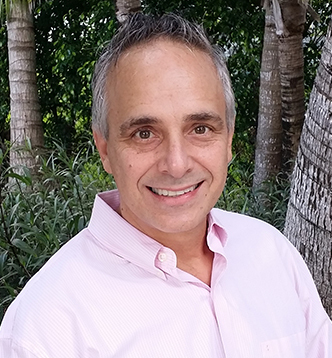 Dr. Corso stays involved in the community with his ongoing volunteering efforts since 1995 with the Caridad Dental Center in West Boyton Beach and has been involved in volunteer efforts overseas in the Dominican Republic. Dr. Corso's personal time is spent with his lovely wife, Helene, and his two beautiful children. They enjoy their family time seaside, boating, and taking in Florida'a natural beauty. 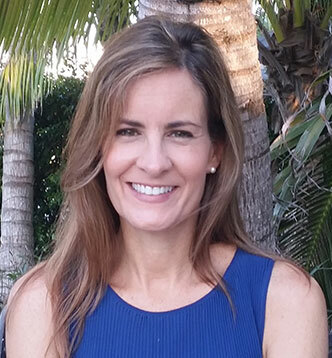 Dr. Helene Corso grew up in Plantation, Florida where she started working at her father's dental practice while in the 8th grade. Working there every day after school through high school her love of dentistry really grew. In 1986 she graduated from Loyola University, New Orleans where she got her Bachelor of Science degree in Dental Hygiene. She graduated #1 in her Dental Hygiene class. She then received her Doctor of Medical Dentistry (DMD) degree from the University of Florida, College of Dentistry in 1991. Upon graduating she returned home to practice dentistry with her father in Ft. Lauderdale, Florida, and ultimately to practice with her husband, Dr. Barry Corso, in Boca Raton. 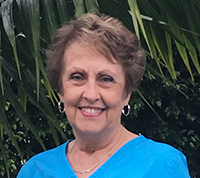 Having been in the dental field her entire life Dr. Helene saw dentistry from all sides, and she believes that great dentistry can only be as good as the "team" offering it. Our team strives to give the highest quality dental care possible. Dr. Helene's emphasis is on offering every patient comprehensive, aesthetic, and preventative care in a comfortable and caring environment while using state-of-the-art equipment. Dr. Helene also enjoys treating the children in the practice. She truly loves what she does! 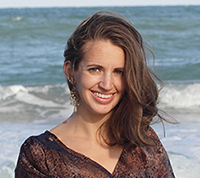 Dr. Helene's private time is spent enjoying her home in Highland Beach, Florida with her husband. She takes pleasure in raising her son and daughter, taking care of her many pets, doing Yoga, and simply living in paradise. 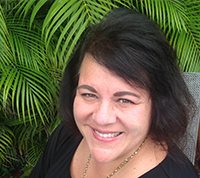 Dona grew up in Pompano Beach, Florida and graduated in 1972 from Palm Beach Jr. College in Dental Assisting. Her husband Doug was in the Army which allowed them to travel around the world. Dona worked for the U.S. Army Dental Corp. Civil Service for 16 years. After her husband retired from the Army, the family moved back to South Florida. She currently lives in Deerfield Beach, Florida. Dona has worked with doctors Corso since 1999. She has a married son who has a beautiful wife and 2 children of his own. Dona is also the proud mother of 6 cats! 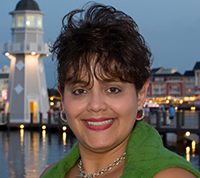 Roxana Milo has been a part of our practice for 16 ½ years. She makes sure the office runs smoothly and handles everything from finances and insurance billing to the occasional technological issue. Roxana is one of the first friendly faces you will meet when coming into the office. You will find that she cares about every aspect of your treatment and will make every effort to accommodate you to the best of her ability. Roxana loves to travel and enjoys meeting new people and seeing new places. She lives in Lauderdale by the Sea and enjoys her free time in Disney with her husband of 22 yrs. and her family. 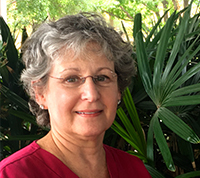 Caress moved to Florida in 2000 and she joined Drs. Barry and Helene's team soon after. She graduated from the University of Medicine and Dentistry of New Jersey with an Associates degree in Dental Hygiene. She returned to school in 2005 to earn a Bachelor of Science degree in Dental Hygiene. She has been a practicing dental hygienist for the last 34 years. Caress enjoys the beach, reading, gardening and spending time with her husband and three daughters. Brooke graduated from Greenville Technical College in Greenville, South Carolina in 2002 with an Associates degree in Health Science majoring in Dental Hygiene. After moving to Florida, Brooke joined Drs. Barry and Helene's team in 2008. Her favorite thing about being a hygienist is getting to know each patient's specific needs and helping meet those individually. Originally from Walhalla, South Carolina, Brooke spends her free time with her husband, Bryan, and daughter Emerson. She enjoys volunteering at her daughter's school, playing tennis, biking, snorkeling, cooking and reading. Pat has been with Dr's Corso since 1995. She moved to Florida in 1982 with her husband from Michigan where they grew up. Pat has a daughter who is a Nurse Practitioner at Delray Medical Center and a granddaughter who is a senior at Spanish River High School. Pat enjoys golfing and spending time with family and friends.